Take your business to the next level by making your first hire! 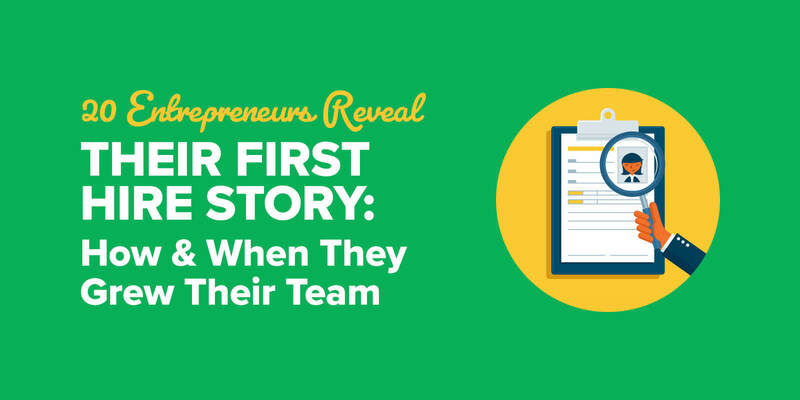 Learn from 20 entrepreneurs who reveal their first hire story today on the blog! Ah, your first hire. When you’re just starting out, it can be tricky to know when it’s time to start building your team. The key, my friends, is to remember that you can’t do it alone—and that it’s okay to start small. Like many entrepreneurs, I started out working with contractors for things like building iPhone applications, copywriting, and web design. But a couple of years in, as I was building new passive income streams, I realized I could use help with things like building websites and creating backlinks. Even though I enjoyed doing those things, they probably weren’t exactly the best use of my time. So I started using sites like Elance and Odesk to find help for a few one-off projects, from designing WordPress themes to transcription work and even article writing. Eventually I hired my own virtual assistant, a programmer who helped build several websites for me and clients of mine. The experience blew me away—it was like I’d been able to clone myself and get twice as much done. There was no way I’d ever go back to trying to do it all myself. Fast-forward to the present, and boy have things continued to evolve in the direction of teamwork! After working with Matt Gartland for several years, first as an editor and project manager for my book Let Go, I hired his team as full-time contractors to help me run everything. Then, at the beginning of 2019, I brought them under my wing as Team SPI. It’s been a trip I could never have predicted a little over ten years ago when I was putting together my first ebook by hand and posting it on my first website. But stepping back a little bit . . . Wherever you are in your business journey, you need to recognize the danger of trying to be a superhero and taking on too much in your business. That’s just a recipe for burnout and failure. But looking at where you could use help, both immediately and in the longer term, is what’s going to help you take your small business to the next level. If you’re in that early but growing stage where you’re starting to stretch yourself thin, I’m a huge fan of bringing in talent to take things off your plate (and yes, do things better than you can do on your own!) whether it’s editing your podcast or helping create a niche site. You can’t do it alone! Today, we’re going to hear from some special folks—good friends of mine who also have online businesses of their own—about their own first hires, how their teams have grown, and how building a team has changed things for the better, in some cases allowing them to scale and nurture incredible businesses—some making multiple six figures! These are people who’ve learned, like I have, the incredible power of delegating, entrusting, and building something great with the help of others whose skills and ideas can make the whole of your business greater than the sum of its parts. It’s been about three years since Amanda made her very first hire for her business, The Ad Strategist. Nonetheless, she continued to scale her ad agency, hiring a few ad managers. But she ran into a roadblock there too, because she “just expected these ad managers to immediately get it. To just do things the way that Bond did Facebook ads. And to understand why we were having success.” But they struggled to take the baton she was handing them. She acknowledges that “from a hiring perspective, I have not done it the easiest and most streamlined way possible.” But through this process she’s learned a ton. “Obviously every time it’s different because every business is different,” says Breanne. As she puts it, “Sometimes the answer is not hiring, and sometimes it is hiring.” So when she started to ask herself if it was the right time to make the first hire for her own business, there was no easy answer. At the same time, Breanne says that although she very much operates from a plan when it comes to hiring, “the plan’s not set in stone. It’s going to evolve as the business does.” Ultimately, she’s trying to make hiring decisions that “create the biggest leap forward” for her business and her clients. “It’s not just about me. It’s about how can I build something that’s going to be amazing for everyone it touches,” says Breanne. Rick made his “first real hire” two years into his business. Although he’d been working with an assistant before then for help with some one-off tasks, he realized he could benefit from steadier assistance. He wanted to find a “day-to-day assistant” who could help with emails and calendars, as well as someone who could help with the several live launches he carries out each year. He found someone on Craigslist, conducted an interview, and brought him on in a part-time capacity, roughly twenty hours a week. Three years later, Rick’s assistant is still with him, although still as a part-time contractor because he also works for another online entrepreneur. Nonetheless, the assistant has developed “a ton of knowledge of the back end” of Rick’s business, which has caused his role to shift more toward “ownership of things rather than having everything be task-based,” whether it’s customer service, administrative work, or managing launches. “It’s worked out well,” says Rick. Christine’s company guides female service-based entrepreneurs to step into the leadership role they were meant for with cutting-edge marketing, mindset strategy, and training. She hired her VA because she realized she was doing things that were not directly revenue generating that were taking up a lot of her time. The VA initially took over Christine’s weekly newsletter, then eventually started taking more stuff off Christine’s plate, which allowed her to focus on marketing and getting more clients. This helped Christine land her first six-figure year. When David decided to start building a team, his first permanent hire was for a customer service person who could also handle administrative tasks. David found this person, Jasmine, through Upwork. She handles all customer support inquiries, answers phone calls, and deals with administrative tasks like password resets and refunds. David hired Jasmine because he was spending most of time on administrative tasks that could be done by someone else as long as they had a good personality, were organized, and were competent.” He wanted to get these tasks off his plate so he could focus on things like creating new products and developing new partnerships with other companies. Eventually, Jasmine also started taking on larger roles, helping with some affiliates and expanding some of the company’s sales and marketing efforts. Her next hire was a VA who took on things like managing her calendar and inbox and taking over client onboarding. Three years later, this person is now the company’s online business manager, and “pretty much runs the show,” says Gemma. Two years ago, Gemma also hired a designer to help with branding. And now, in its sixth year, the team is taking on a second VA, a social media person to support the content manager and the online business manager. Jasmine hired her very first employee, a part-time business manager, a year into her business. Her business manager became part of the team this way. “She started leaving comments on Instagram, and she would show up on my Facebook Lives. She was such an active member that I remembered her face and I remembered her name,” Jasmine says. Every so often, this person would send Jasmine emails with helpful suggestions about the content Jasmine was creating. She was also a very active member of Social Curator, Jasmine’s paid community. Jasmine decided to test the community member with a small project to see if there was a fit, and “Boy, oh boy, did she overdeliver!” So Jasmine slowly brought her onto the team by making her a community manager within Social Curator, and then within four months, elevating her to business manager. The following year, she hired her second employee, a contractor to help with quarterly launches. In 2018, year three, Jasmine’s team started to pick up “a ton of momentum,” growing from two part-time employees to eight, four of whom are full-time. Jasmine is excited to bring on another four team members in 2019. Hal runs a business that puts on live events, offers online coaching and training programs, publishes books, and provides keynote speaking engagements. She was, and Hal ended up bringing this person, Tiffany, on as an intern to make sure the fit was right. But he appreciated the “real-world experience” he gained from working with his first employee. For Hal, having her on the team has definitely been worth the initial learning curve. Jenny first started building her team shortly after starting her business, with a short-term hire for some tech help with her website. Then, after a few months, she realized she could use the help of a VA, so she hired a woman from the Philippines. They built a great working relationship, and she worked for Jenny for several years before going on maternity leave, although she still helps out from time to time. Jenny’s second hire came about a year later, hiring someone to help with ongoing tech support, updating her website, doing security checks and backups, and other technical things that Jenny didn’t feel comfortable doing on her own. Then, several years later, although business was going well, Jenny got very sick. She started to need more help, so she hired someone who could help with social media, design, and writing. Although she “didn’t consider that building a team at the time,” in 2014, almost two years after launching her website, she started “officially” building a team by hiring a full-time general VA from the Philippines from Upwork (at the time called ODesk). Since then, Jessica has hired several more people, including a customer support assistant, a writer, and a community manager who takes care of the members-only Facebook community. She started building the business in about 2014, roughly three years after starting another business as a freelance ghost blogger for other small businesses. Her first hire was a friend who was also a writer and could handle some of Lacy’s overflow. The friend started as a contractor, and as the business grew, Lacy hired other contractors to do similar work, as well as other work outside Lacy’s wheelhouse like design and SEO. “As I grew, it became clear very quickly that there’s only so many hours in the day and so many blog posts I could write in that amount of time,” says Lacy. Lacy realized about two years ago that she “was building an agency without even realizing it, because of all these people who had come on as contractors really just to help me with my overflow.” She decided to embraced the idea of building a digital agency and actually becoming the director of the agency herself. She currently has one employee who is project manager/writer, along with three writers, an SEO specialist, analytics specialists, a graphic designer, and a VA.
Azul first decided he needed outside help when he started work on his podcast, Born To Write. Tasks like editing, doing show notes, uploading the show, and making sure WordPress was configured properly were taking up much more time and energy than he wanted. He found his first hire via referral, after another podcaster recommended a VA in the Philippines who could help out with the show. He actually ended up hiring two VAs to work on the show, one to do the editing and the other to create and publish the show notes. A big advantage was that the two VAs actually knew each other. “That was really helpful,” says Azul. “It allowed me to easily make a transition” away from the repetitive podcast production tasks he had been doing before. As he continued to grow the business, he started to need help from other professionals, specifically with book design, editing, and publishing. He found them in a few different places, including 99Designs, Upwork, and Reedsy, which focuses on publishing professionals. He also found book editors and proofreaders via referrals from people in his network. Most recently, Azul realized he needed help on the management side of the business. 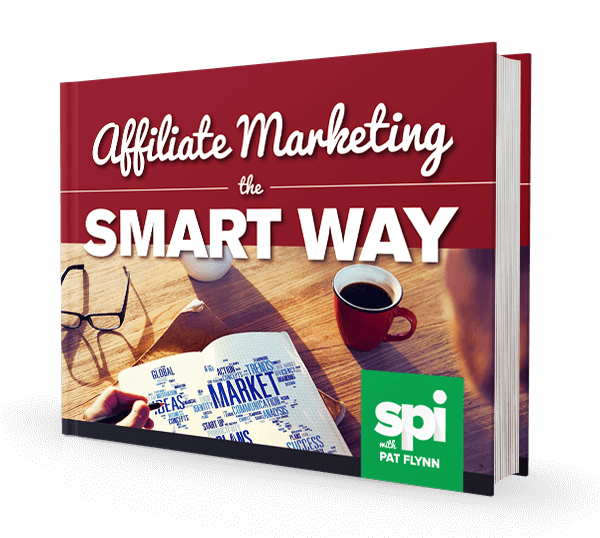 That’s when he reached out to his friends in the SPI Accelerator mastermind program. One of them told him that an integrator might be able to help him apply some management discipline and structure to bring Azul’s ideas to fruition. As Azul puts it, “I realized I was not an integrator. I’m not a project management type person. I am a visionary. I see big pictures. I like to create.” He found someone via referral and set them up on a six-month contract. Even as the business has grown and new team members have come on board, many of those hires continue to come from Azul’s network. At the same time, Azul and his team have started tapping larger candidate pools as well, like posting jobs on sites like Indeed. For their most recent hire, a publishing manager, they had the new integrator (officially their “director of operations”) help write the job application and post it. She screened all the applicants, then narrowed them down and sent the final list to Azul and Steve, the company’s chief operations officer, to interview. When Michelle started her consulting business, she was recovering from burnout from her prior career in a tech startup—and she knew that was a fate she wanted to avoid in her new business. About a year in, “when I was getting serious about it,” she hired a personal/executive assistant—but for a slightly different reason than many other entrepreneurs do: to oversee the work of other contractors. “A lot of people in the online space will hire a VA to do technical work, or different tasks. And I knew from my time in the startup world that having an executive assistant allowed that person to oversee things in a way that I would not have to deal with,” Michelle says. Michelle’s VA has helped out by managing one-off contractors Michelle brings in to help with various tasks and projects. “The model of hiring different VAs to do a bunch of different things and you’re still sitting there trying to manage it all, at least for me personally, is very overwhelming,” she says. Nathalie’s first hire was a VA who started off working just five hours per week, scheduling newsletters and working on blog posts. Over time, the VA began helping with customer support inquiries, and eventually transitioned to a full-time role as marketing manager, handling Facebook ads and marketing campaigns and training other people on the team to take on marketing tasks as well. Nathalie’s next big hire (and first full-timer) was . . .her husband. He was “a very important hire for our company, because he is our lead developer.” Bringing him on was “a big step for us,” because it meant quitting his job and making AccessAlly the source of 100 percent of the family’s household income. Greg’s business is a coaching and training company that helps small, service-based businesses launch a group consulting or group coaching program and deploy their funnel. Greg quickly started interviewing for someone to help him manage these new clients and build campaigns. And so, “before the business even officially started serving clients,” his first team member, Lisa came on board. Lisa’s focus was managing a handful of client accounts and “helping remove me from as much of the fulfillment and delivery as possible so that I could keep focusing on sales,” says Greg. She started part time, but within two to three months had taken on enough work with Greg that she was able to leave her full-time job. Greg’s next hire was a part-time executive assistant, Megan, who came on to “help protect me and my time around my calendar, my email inbox.” Megan’s role has since evolved to become a community manager and client concierge. Lisa’s role has evolved too, as she’s become the company’s operations manager. By three or four years in, she had also hired an online business manager to take over the behind-the-scenes operations and team management. This person, Amber, “has taken over the entire operations path of my business… she’s really the person between me and everyone else who we need to be in contact with to run the team,” says Racheal. Now, ten years later, she’s running that multiple six-figure business with “a very small, but very amazing team.” In fact, most of her team has been with her for going on six or seven years now. About five years ago, Racheal was also able to retire her husband, Jameson, and bring him onto the team part-time. (The rest of his time is as a stay-at-home dad.) As a former English teacher, Jameson has played an integral role in content creation and strategy for the business, planning out content and producing both a weekly Facebook Live Show and a podcast called Uncomplicate Your Business. Unlike many entrepreneurs who hire their first employee to help with administrative tasks like email inbox management, Laura, the CEO of social media startup Meet Edgar, started building her team by filling two slightly different needs: bookkeeping and customer service. “And I think that applies to a lot of entrepreneurs out there,” she says. Shannon started to build a team about a year after launching her business. She noticed she was spending her time doing what she now calls the “less than 5 percent activities”—things like responding to emails and building Facebook ads. She started by going to sites like Upwork and OnlineJobs.ph to find technical help for one-off projects and tasks. Christina started building her team about six months after starting her business. She had a large and diverse client load, and the work necessary to keep all of her clients was getting to be too much, so she brought on an extra publicist to help her pitch a potential new client. She found this publicist in a Facebook group composed of other people in the media industry. It just so happened that this person was local to Christina, which she says was “very helpful.” “It was a good fit,” says Christina, and a few years later, the publicist is still on Christina’s team and helping out with client work. These entrepreneurs chose not to go it alone, and it’s been paying off for them. Hopefully their examples will give you some ideas and inspiration for how you can tap into the immense talent that’s out there waiting to help you take your business to the next level!